Archives | Join @SonyAlpha on Instagram! 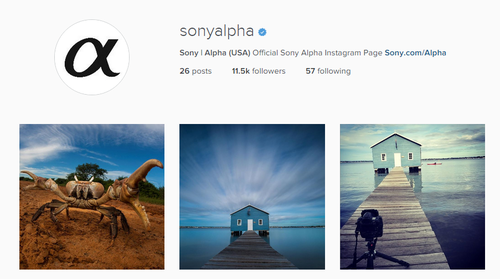 Did you know that Sony Alpha is now on Instagram? Our goal is to share beautiful, jaw-dropping photography that inspire and showcase the power that can come only with Sony and you! Just click here or on the button below to follow us. Be sure to tag your photos with #SonyAlpha so that we can see how you use your Sony Alpha camera.